Ammonites are an extinct group of marine invertebrates classified as cephalopods. Ammonites dominated the oceans at the beginning of the Mesozoic Era (250 million years ago). They are most-closely related to octopuses and squids, but with chambered shells similar to that of nautiluses. Because ammonites are extinct, and only their shells were preserved in detail, little is known about how they lived. Their chambered shells were filled with gas, which gave them buoyancy so they could live in the open oceans instead of on the ocean bottoms. It is thought that they ate a variety of small creatures that they could catch with their tentacles and swallow whole. They were probably a food source for some of the ancient marine reptiles, as ammonite fossils have been found with tooth marks left by such predators. Many large ammonite fossils have been found in the riverbed of the Kali Gandaki Gorge in Nepal at elevations of up to 4,000 meters above sea level! These fossils were formed in the sediments of the Tethys Ocean 80 million years ago and uplifted as the Indo-Australian Plate collided with the Eurasian Plate to create the Himalayas. 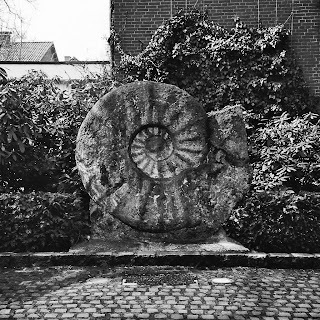 In India, some believe that ammonites symbolize the god Vishnu. 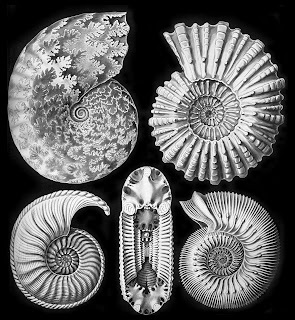 Some Himalayan tribes refer to ammonites as the “Wheel of God” because of their spiral structure. The extinction of the ammonites has been attributed to the same asteroid impact that killed the dinosaurs 65 million years ago at the end of the Cretaceous Period. It is thought that they reproduced by laying a huge batch of eggs right before they died. These eggs rose to the surface as part of the plankton and were destroyed en mass by the violent effects of the asteroid strike. In contrast, nautiloids survived the mass extinction to evolved into present-day nautiluses. They laid their eggs in smaller batches on the sea floor where they were more protected from the asteroid impact. 1) True or false: Ammonites are most-closely related to modern-day Nautiluses. 2) Ammonites were able to live in the open ocean because _______________. 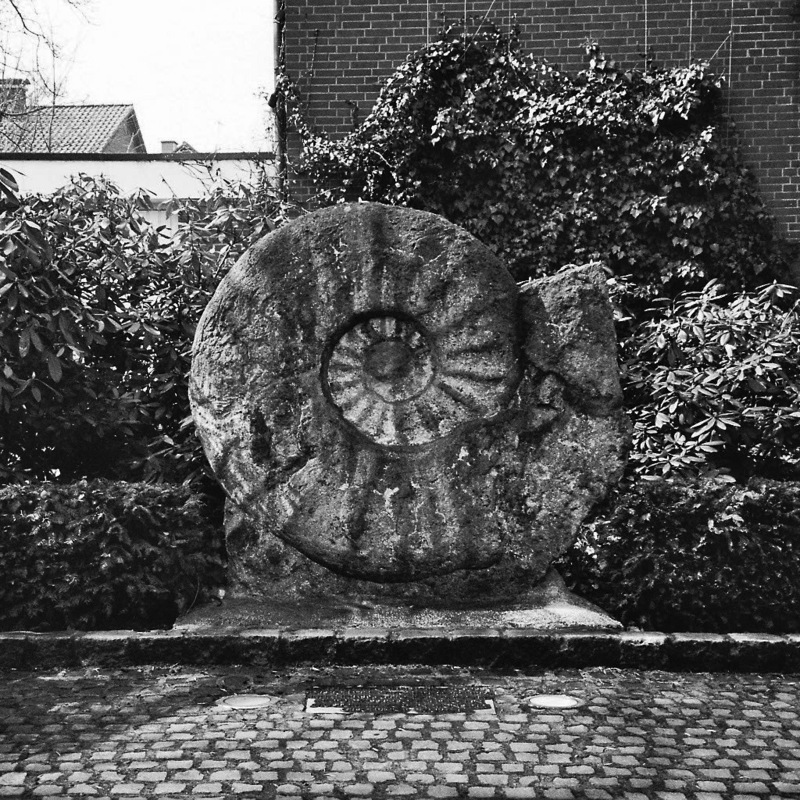 4) Ammonites went extinct _______________. 5) Ammonites, nautiluses, octopuses and squid are classified as _______________.